SMi Reports: Senior representation from hosting nation to present at 18th Annual Military Airlift Conference. SMi Group is thrilled to announce Major General Julián Roldán Martínez, Air Mobility Command Chief and Colonel Andrés Gamboa de la Calleja, Commander of the 31st Wing, from the Spanish Air Force will be delivering the host nation opening address this November in Madrid, at the 18th annual Military Airlift and Air-to-Air Refuelling conference. As the largest and most focused military airlift conference in Europe, 2017 returns to further explore international approaches to maximising airlift and aerial refuelling capabilities through new technologies and platforms. Major General Julián Roldán Martínez and Colonel Andrés Gamboa de la Calleja will present on: ‘The Spanish Approach to Airlift Capabilities’, covering: recent updates on the transfer from the C-130 to the A-400M; incorporating tanking capabilities into the new aircraft; and streamlining airlift training and standards to operate effectively in a joint air mobility environment. They will be joining the event’s best-to-date international speaker line-up of 27 military and industry experts involved in airlift and aerial refuelling, from across the globe. Expert speakers include senior representatives from: US Air Force Europe, RAF, French Air Force, EU Military Staff, NATO, European Defence Agency, European Air Transport Command, Boeing, TLD Group, JETEX, World Fuel Services Europe Limited, Skytech Inc, SHAPE, Spanish Air Force, Royal Netherlands Air Force, Air Mobility Command, Airbus, MCCE, ViaSat, Volga Dnepr Unique Air Cargo, JBT, Antonov and more. A full list of speakers is available to download from the event website. 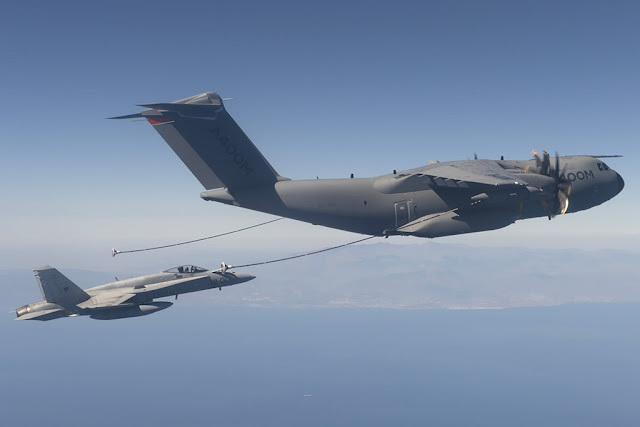 There will also be a post-conference, complimentary site visit to the Airbus facilities in Getafe Air Base - where A330 aircrafts are modified into Multi-Role Tanker Transport (MRTT) aircrafts. This will include an introduction about the site, opportunity for delegates to see the A330 MRTT Conversion Centre, the training centre and the system integration laboratories.